The University of Virginia is planning for the next 10 years of parking and transportation on Grounds and seeking input from the UVA community. “We will be looking at developments in the area of transportation, and what that might mean for the future on Grounds,” said Julia Monteith, the senior land use planner in the Office of the Architect for the University. “What can happen with ride-sharing services like Uber, or with driverless vehicles, and how might that effect how we think about transit? Will it reduce the number of cars? A 15-member steering committee is looking at these and other options, with various University constituencies represented, including students. 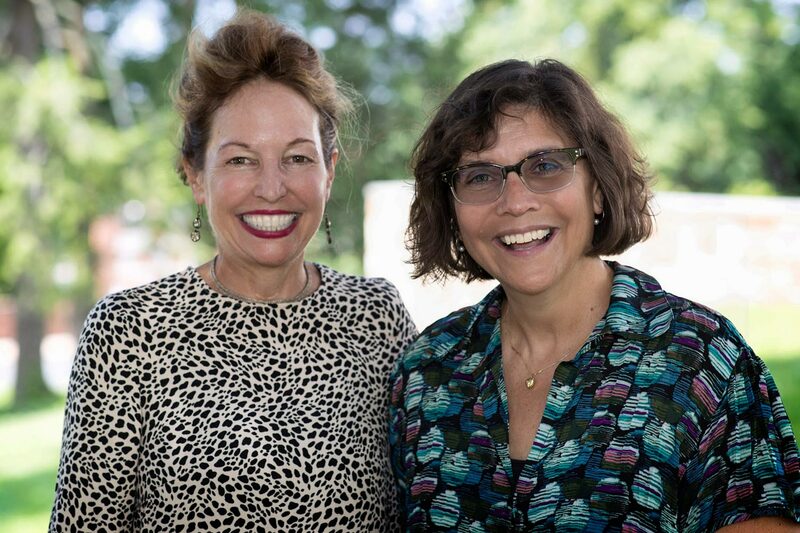 As part of the University’s process, Monteith and Rebecca White, the director of UVA’s Department of Parking and Transportation, are coordinating opportunities for members of the University community to provide input. “We are organizing the focus group and open house sessions around transportation modes, such as transit or bicycling, and around parking behaviors,” White said. “We want to know what strategies and elements could support various parking and transportation choices. Open comment sessions will be held on Sept. 6 and 7, starting with a lunch session at the Rotunda’s multi-purpose room in the southwest wing on Sept. 6 from 11:30 a.m. to 1 p.m.
Also on Sept. 6, Newcomb Hall room 481 will host a session on bicycling and walking from 2 to 3 p.m., followed by a transit focus group from 3:30 to 4:30 p.m. In the Health System, a parking focus group meeting will take place at the Health System Education Resource Center Room A on Sept. 6 from 6:30 to 8 p.m.
On Sept. 7, Newcomb Hall room 481 will host a close-in parking focus group session from 8:30 to 9:30 a.m., followed by a focus group meeting from 9:30 to 10:30 a.m. on intercept parking(where commuters park in a distant lot and then take another mode of transportation to their eventual destinations), and a multi-modal and alternate transportation focus group meeting from 11 a.m. to noon. The Health System will host an open house at the Health System Education Resource Center Room B on Sept. 7 from 11:30 a.m. to 12:30 p.m.
For people who cannot attend the sessions, a website will be open to collect comments between Aug. 22 and Sept. 14. The committee will consider the impact on existing parking from projects such as the Brandon Avenue redevelopment, the demolition of University Hall and the redevelopment of the Ivy Road Corridor. In addition to parking, the plan will address various modes of transportation, including transit, bicycles, ridesharing and autonomous vehicles and how these will affect parking and various traffic routes to and around Grounds. The University continues to work closely with Albemarle County and the City of Charlottesville, as many transportation issues overlap these boundaries. The city has secured a $12.1 million grant to study the streetscape development on Emmet Street and another to improve the streetscape along Fontaine Avenue. The Grounds transportation plan was updated in 2007 and 2011, updates that resulted in a reciprocal riding agreement with the City of Charlottesville’s Charlottesville Area Transit bus system, inviting Zipcar on to Grounds and creating the bikeshare program, which allows program members to use strategically sited bicycles on Grounds, as well as encouraging carpooling. With all the work on transportation planning, one objective that has been elusive has been reducing the number of single-occupancy commuter cars coming to the University every day. Those incentives include reduced parking fees, to the point where a four-person carpool parks for free, and 20 one-day parking passes are supplied to carpool members in case they need to drive by themselves some days. 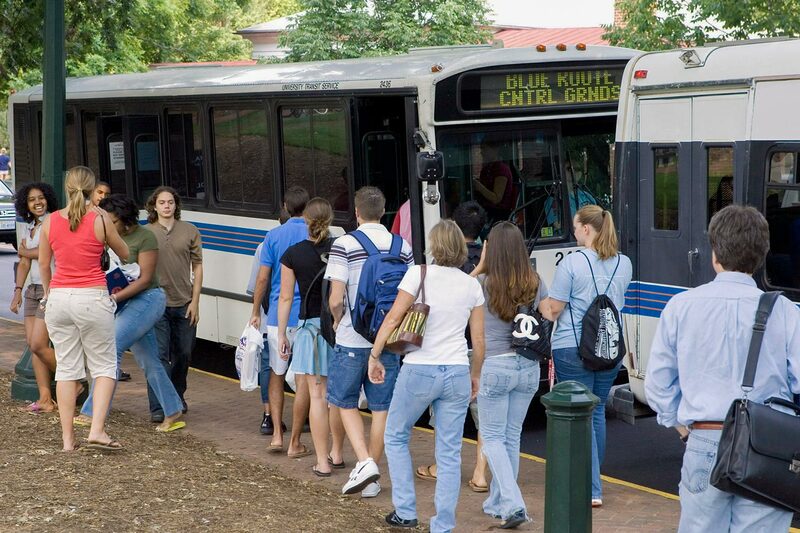 “About 30 percent of our faculty and staff live within a half-mile of a Charlottesville Area Transit or a University Transit bus stop, so there is potential for employees to use transit if we can understand their needs,” White said. In preparing the study, the University is working with Vanesse Hangen Brustlin Inc., a transportation consulting firm with offices throughout the East Coast.